My only picture of the Winfrith nuclear flask train. 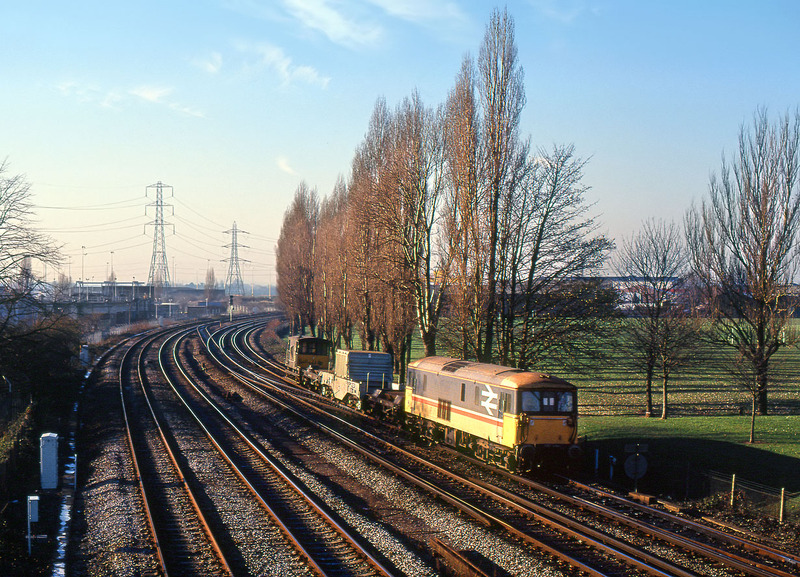 73141 passes Millbrook on 30 November 1989 with the 7Z96 11:00 Winfrith to Gloucester, conveying the customary single flask. The Class 73 would work the train as far as Westbury.